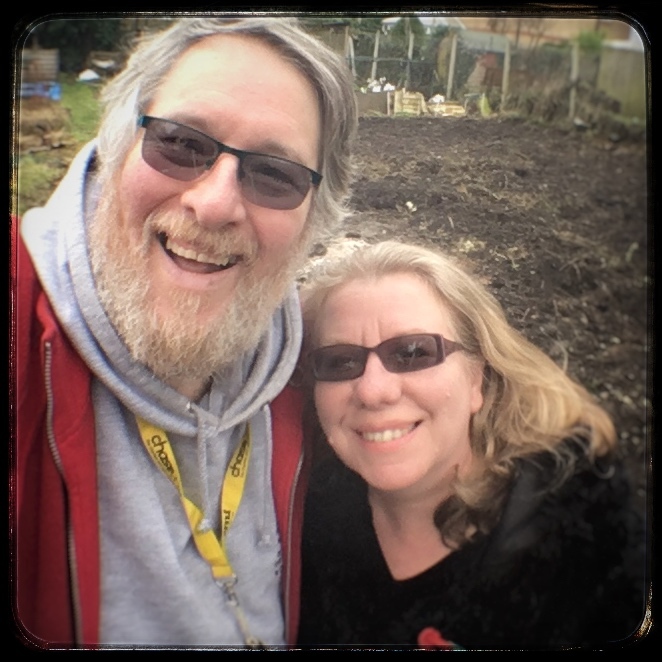 Our aim is to provide an open and transparent account of developing our allotment – our quest for veg – and to share useful information with you along the way. Andrew teaches horticulture and plant science to degree level. He specialises in the Royal Horticultural Society (RHS) qualifications. He ran a successful garden design and landscaping business for many years until a routine medical investigative procedure caused a spinal injury. He continues to teach on a freelance basis and offers a consultancy service. Sandra is a writer, editor and communications professional whose only horticultural training has come from years of watching Gardeners’ World! When we took on our plot it was very overgrown and neglected, as you can see from our very first post: surveying the scene. Thankfully, we have some wonderful friends and colleagues who have helped us to get started. We are very grateful – we couldn’t have done it without you! To help support our quest for veg, this site contains affiliate links. These are links that allow us to make a small percentage off every sale or click. Not all the links will be affiliate links, and if you do go on to make a purchase through one of our links it will be at no extra cost to you. Thank you for your support! Please get in touch if you would like us to review products or books suitable for allotment holders or people growing their own fruit or vegetables. Even though we may receive the item free for review, we always give our honest opinions, findings, beliefs, or experiences. We will make it clear that the item has been sent free for review. We only publish reviews about things that we really feel will help our readers. We can’t promise a review, and can’t return items sent to us. We are happy to guest blog or write for others. There will be a fee (unless it’s for a charity blog). Please get in touch.